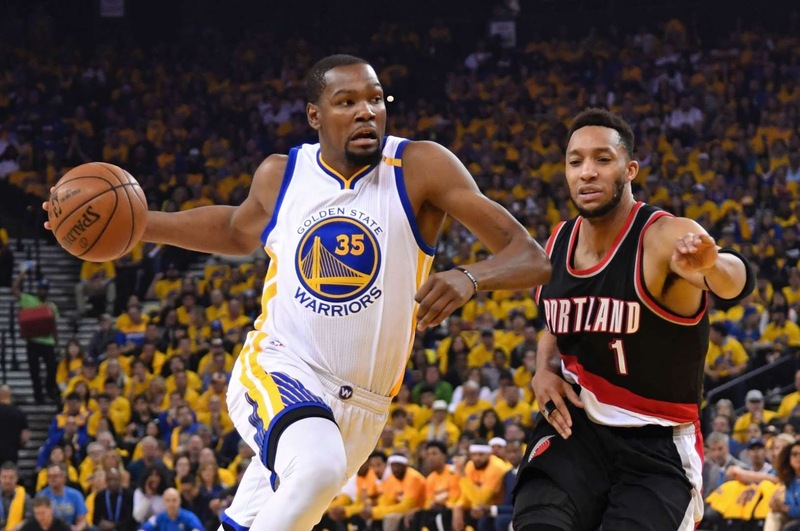 The Warriors' Kevin Durant dribbles the basketball against Evan Turner of the Trail Blazers on Sunday in Oakland, CA. The Warriors won 121-109. Durant on the drive The Warriors' Kevin Durant dribbles the basketball against Evan Turner of the Trail Blazers on Sunday in Oakland, CA. The Warriors won 121-109.